North Point buildings in East Cambridge are part of a new neighborhood development called Northpoint. The 45-acre piece of land is being transformed into a complete community with residences, commercial space, and outdoor space. Although Northpoint is still under construction and development, most North Point condos are nearing completion. Two of the latest residential buildings, Sierra and Tango, comprise 1 and 2 Earhart North Point condos. The first of the buildings, Sierra, is a two-story that provides 99 living units, which are mostly one-bedroom with a den. In this part of North Point condos, residents enjoy high ceilings, 14-foot windows, outdoor patios, parking spaces, and concierge service. Just outside of this building is a professionally landscaped, 10-acre park with a pond. The second building of the North Point Condos complex is Tango, a 12-floor, 230-unit building that provides one and two-bedroom luxury condos. This building includes similar amenities, such as concierge service, deeded parking, and park access, and also offers options for balconies, penthouses, and two-story duplexes. 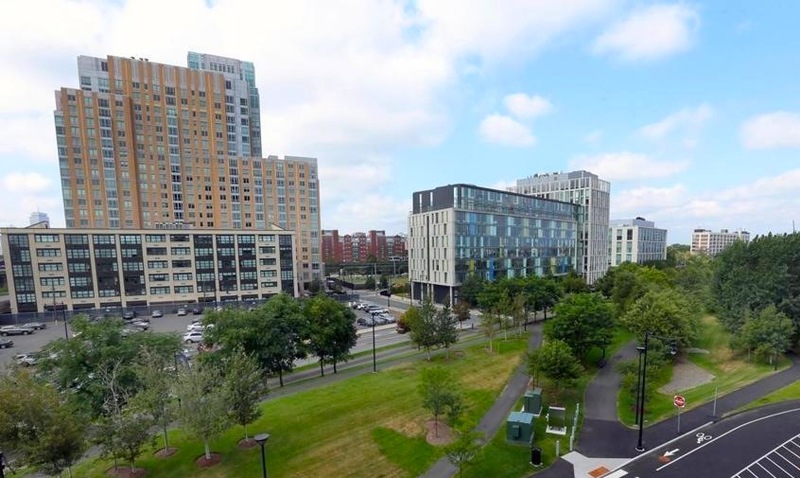 The North Point condos are conveniently placed directly between Green Line and Orange Line MBTA Stations, making it easy to get wherever you’d like to go. If you prefer to get around by foot, there is a lot to offer in East Cambridge as far as dining and new retail, and the Cambridgeside Galleria shopping mall is just a few blocks away on First Street. Walking or driving into Boston is just a quick trip across the bridge. If you want to go further into Cambridge, you can walk 10-15 minutes to the Red Line at Kendall Square, or just take a quick trip in a car into the heart of Cambridge.